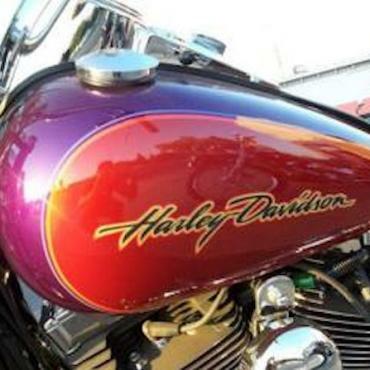 Enjoy the best of the Wild West on the back of your favourite motorcycle. Travelling 2,587 miles through solitary deserts, vibrant cities, deep canyons and high mountains – this 16 day guided motorcycle holiday includes the lot. Grand Canyon, Bryce Canyon, Monument Valley, Death Valley, Yosemite, Las Vegas and of course, the beauty of the California coast along Highway 1. 2019: 11 April, 25 April, 2 May, 9 May, 16 May, 23 May, 30 May, 6 June, 20 June, 11 July, 25 July, 1 August, 8 August, 15 August, 29 August, 5 September, 12 September, 19 September, 26 September, 10 October and 31 October. Take the shuttle bus to your Los Angeles airport hotel. 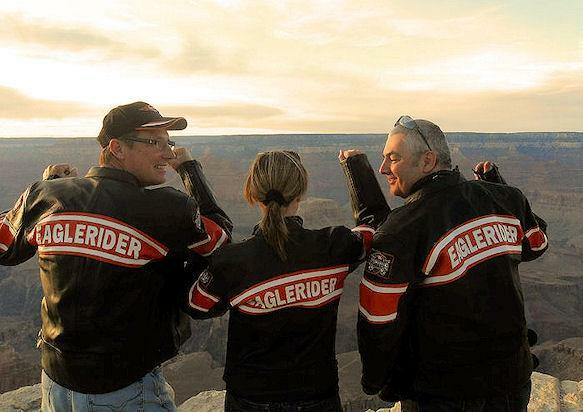 EagleRider’s representative will be present at the hotel lobby to give you information about the upcoming trip. 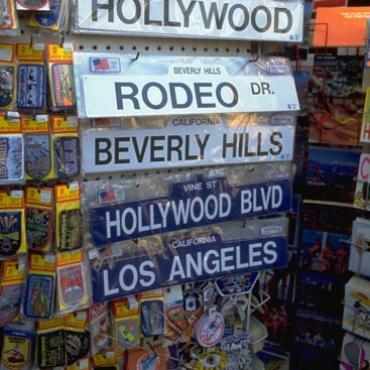 Explore L.A.’s night life in Hollywood or Santa Monica or just get a goodnight sleep. 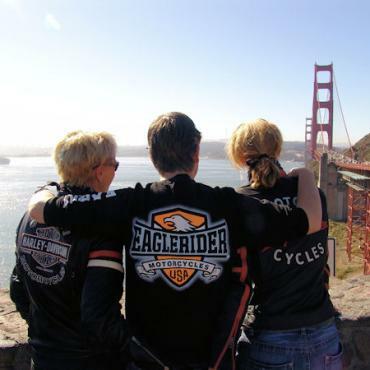 After your Welcome Breakfast the moment has come: you will get transferred to EagleRider in Los Angeles to pick-up your bike. After an orientation head south and ride the winding mountain road down to Lake Elsinore. 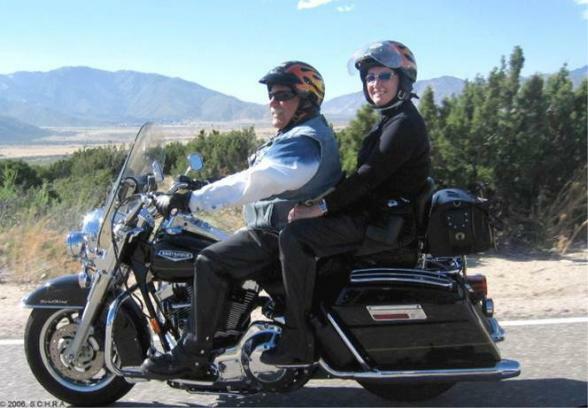 After lunch, the cool air warms as you soar like an eagle through the roads of San Bernardino National Forest and further into Palm Springs, where you will spend the first night. Today take a loop through Joshua Tree National Park. Enjoy the amazing colours and fantastic rock formations! 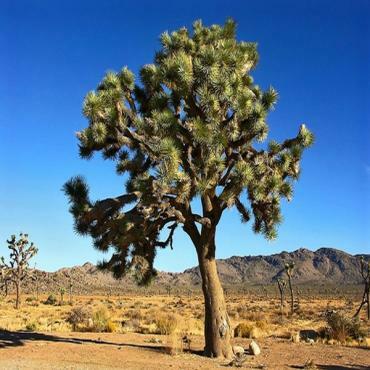 At Twentynine Palms your trip gets legendary appeal, as you enter Historic Route 66 in Amboy, which is our road all the way up towards Laughlin. Cross the state line into Nevada and arrive in Laughlin, where you will overnight. 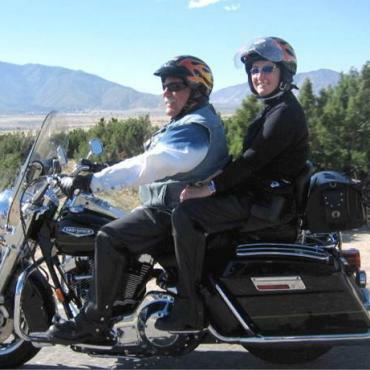 Continue your ride on legendary Route 66 into Arizona, stop for wild animals in Oatman and ride further on to Kingman, which is considered to be “The heart of Historic Route 66”, as it’s situated in the middle of the longest remaining stretch of the old “Mother Road”. From Kingman head for Seligman, another one of the longest surviving stretches of Route 66, which heads off in a northern loop through the Hualapai Indian Reservation. 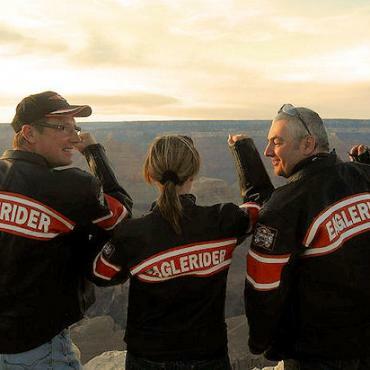 After lunch stop in Seligman and continue your ride towards the majestic Grand Canyon; be prepared for one of the greatest sights man has ever seen! Spend the morning at the Grand Canyon to get some fantastic views. Then cruise along the South Rim for a few miles and leave Grand Canyon National Park at the East entrance. Now it’s off to the incredible Monument Valley. This is Navajo Country where you will savour an authentic Navajo lunch today. The classic Wild West landscape of stark sandstone buttes and forbidding pinnacles of rock, poking from an endless expanse of drifting red sands, has an archetypal image. Only when you arrive at Monument Valley will you come to realizs how much your perception of the West has in fact been shaped by this one spot. Such scenery does exist elsewhere, of course, but nowhere is it so perfectly distilled. Head for Kayenta, where you will overnight. 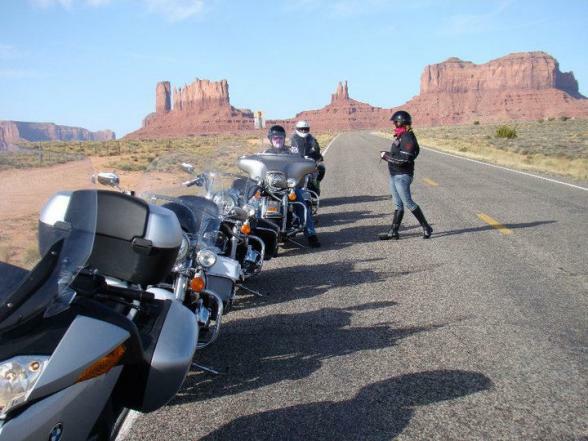 From Kayenta you will ride up to sleepy Mexican Hat, briefly a frenzied gold-mining camp, which takes its name from a riverside sandstone hoodoo – it actually looks like a south-of-the-border sombrero. 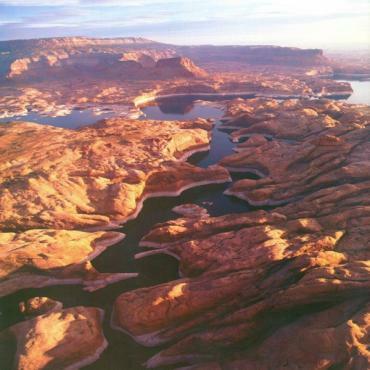 You will ride on to the Valley of the Gods, where much of the movie “Thelma and Louise” was filmed, and cross the Colorado River where it pours into Lake Powell. Lake Powell has 1960 miles of shoreline, which is more than the entire Pacific Coast and 96 water-filled side canyons. 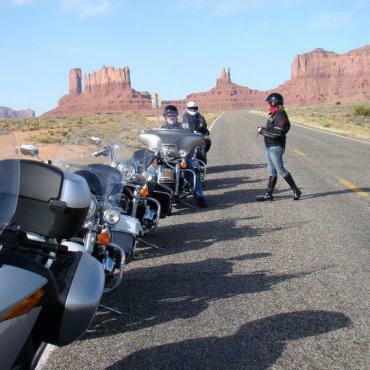 You will ride along the southern tip of Capitol Reef National Park, on to Glen Canyon National Recreation Area and roar on up to the Devil’s Backbone through the Escalante Wilderness en route to Bryce Canyon. During the morning there will be time to visit the amazing Bryce Canyon before we continue to Zion National Park. 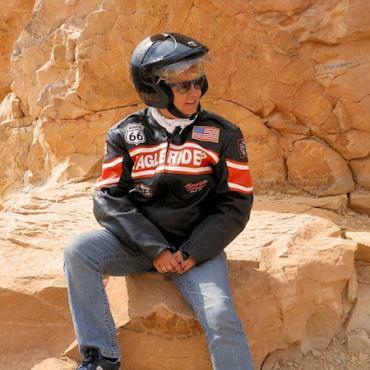 Besides seeing the most beautiful rock formations found anywhere on earth, you will be in for a most challenging ride here – the switchbacks of Zion! Compared to Yosemite and the Grand Canyon, Zion exudes a stronger sense of nature. From Zion it is only a short ride into the neon and gambling oasis of Las Vegas. 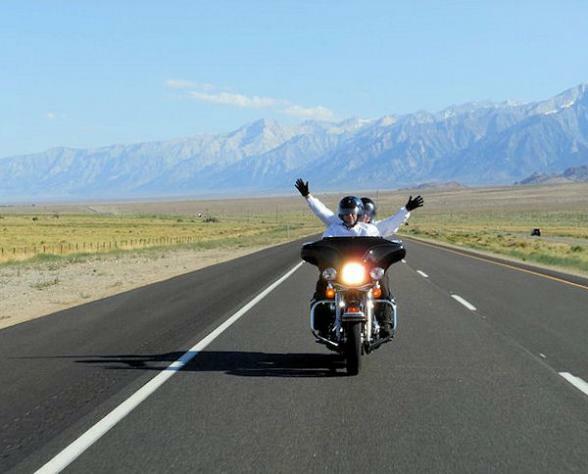 From Las Vegas head west and your ride will take you across Death Valley – the hottest place on earth! It’s almost entirely devoid of shade and its sculpted rock layers form deeply shadowed, eroded crevices at the foot of sharply silhouetted hills, their exotic mineral content turning ancient mudflats into rainbows of sunlit iridescence. You will have an early lunch at Furnace Creek Ranch. 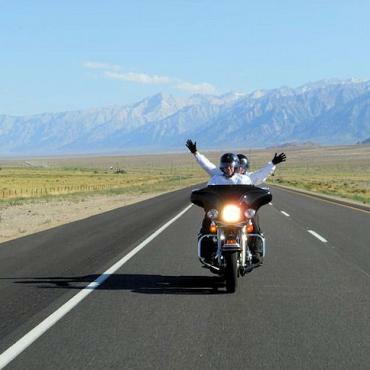 After riding a series of mountain curves, you’ll have fallen hundreds of feet below sea level and find yourself right in the basin of Death Valley. We continue further west and ride along Sequoia National Park up to Mammoth Lakes, a place that is famous for skiing in the winter and mountain biking in summer. Leaving Mammoth Lakes you will continue your trip a little further north before taking the infamous Tioga Pass to cross Yosemite National Park. 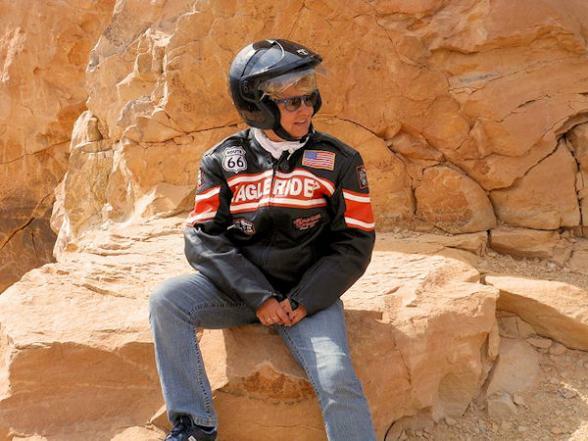 You will push your Harley through the winding granite canyons…muscle flexing turns are rampant for the first several miles, and the road demands attention as you enter the mother of the mother of all National Parks. 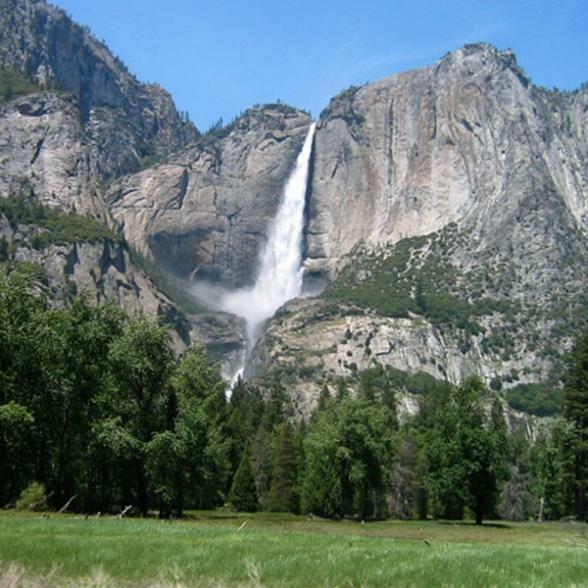 Yosemite conjures up thousands of images and raises expectations to dizzying heights and when you are there it is just as beautiful, wild, tame, rich, and sublime as you’d expect. You will ride over to El Portal to overnight accommodation. Today you will ride along Yosemite National Park for a while and then head west towards San Francisco. After crossing San Rafael Bridge, you will take the road into Marin County, an unabashed introduction to Californian self-indulgence: a pleasure zone of conspicuous luxury and abundant natural beauty, with sunshine, sandy beaches, high mountains, and thick redwood forests, often ranked the wealthiest county in the US. 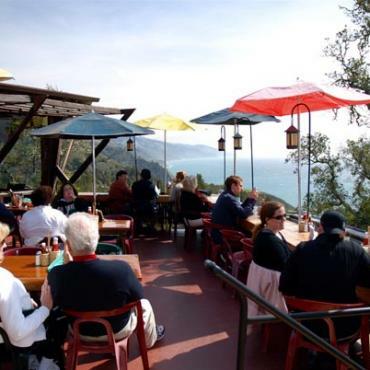 Ride south to pretty, smug little Sausalito, where you will stop for lunch. Sausalito is a quaint seaside town, once a hotspot for drunken sailors, bawdy saloons, today a very refined place that makes you feel like being at the Cote d’Azur. After lunch it’s off to the Golden Gate Bridge and right into San Francisco, your stop for the next two nights. This day is at leisure to enjoy the beautiful city of San Francisco, a funky, individualistic, surprisingly small place – certainly the most liberal city in the US. 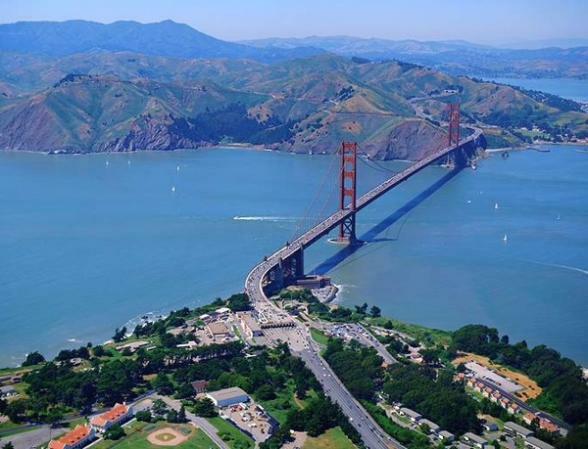 San Francisco has an European flair and lot’s of opportunities to do some sightseeing. 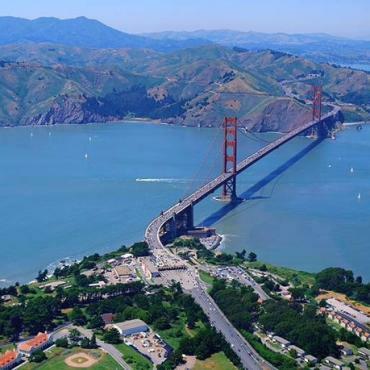 You can choose several optional excursions today, such as a trip to Alcatraz, a Bay Cruise, Cable Car rides, or a Napa Valley wine tour. 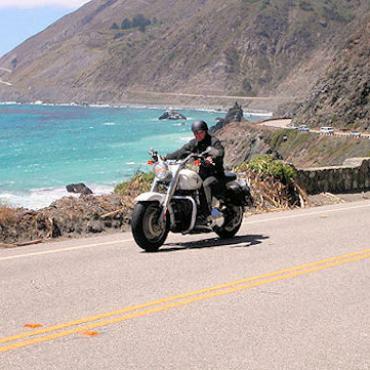 Ride along the rugged coast and get a first taste of one of the best motorcycle rides in the world, head down south on legendary PCH (Hwy 1) along the Pacific Ocean. Breathtaking views of the coves and inlets of the Pacific are en route to Monterey. Monterey is home to the world famous Laguna Seca Automobile and Motorcycle Racetrack and the spectacular “Aquarium of the Sea. The coastline here is simply spectacular and there are plenty of opportunities for great photo stops. Overnight in Monterey. 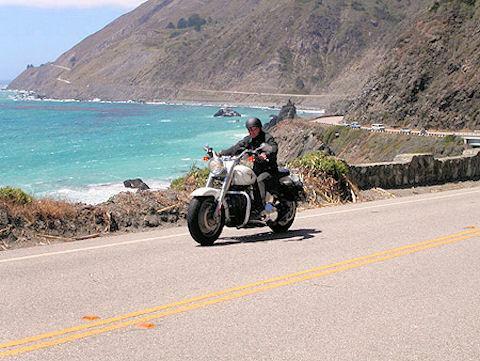 Continue your ride on scenic Hwy 1, along the edge of the cliffs of the Big Sur Coast – 90 wild and undeveloped miles of rocky cliffs form a sublime landscape where redwood groves line river canyons and the Santa Lucia Mountains rise out of the blue-green Pacific. 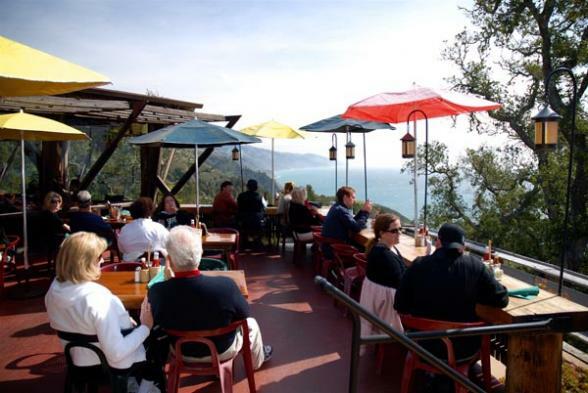 Roughly midway along the Big Sur Coast you come to Esalen, which is named for the long gone native tribes who once enjoyed its natural hot spring, situated on a cliff top high above the raging Pacific surf. Cruise past San Simeon, Cambria and Morro Bay until we get to Pismo Beach, where you will overnight at a beautiful ocean resort. 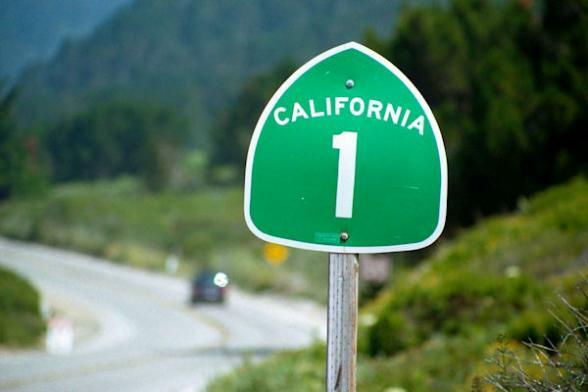 Today you will take Hwy 101 and head towards Los Angeles. At Santa Maria you will cut inland to enjoy the great back roads and scenery there. 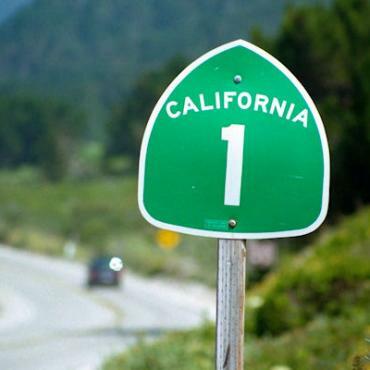 In Santa Barbara we get back on Hwy 101 and cruise straight into Malibu, the infamous beach colony. Twenty miles from here you’ll come to Santa Monica and Venice. Santa Monica is LA’s oldest and biggest resort – once a wild beachfront playground, it’s now a self-consciously liberal and healthy community. Venice Beach is probably the reason why most people come to Venice – nowhere else does LA parade itself quite so openly as along the wide pathway of Venice Boardwalk. 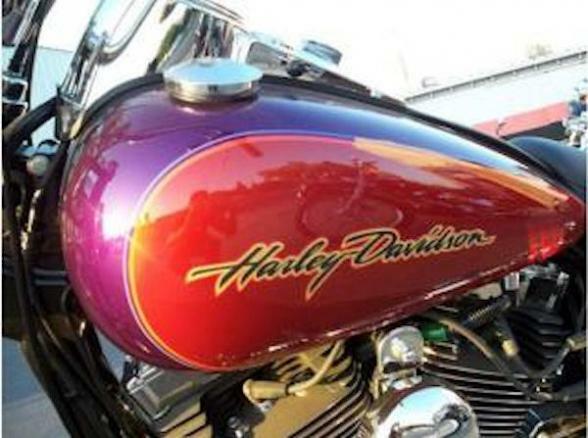 From here you will ride over to Hawthorne, where EagleRider’s headquarters are located. It’s time to return your motorcycles and transfer back to our hotel to get ready for a recap of this great adventure at a "Good-bye" dinner. 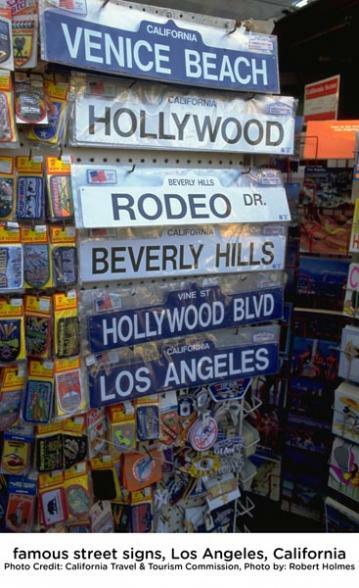 Spend a last day soaking up L.A. cool before heading to the airport for your flight home. Perhaps you may want to extend your stay and spend a fews day relaxing on the California beaches before heading back to the UK. 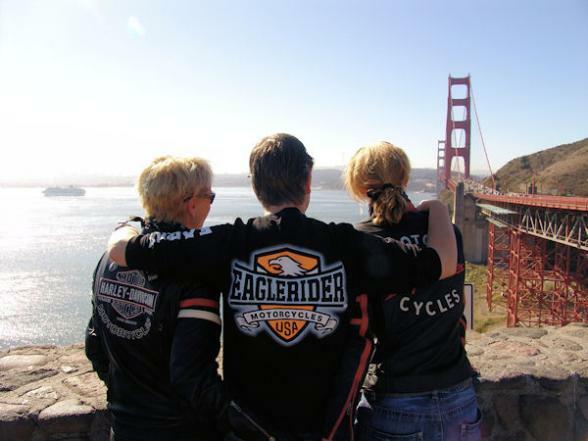 Call the USA travels specialists at Bon Voyage to discuss your dream Wild West Motorcycle Tour™.